Since it’s inception, RTI or the Right to Information has served as an awesome tool for common citizens to get information about anything and everything related to Government matters (with some exceptions). Thousands of people and activists across the country have used RTI to bring out the information that has led to exposure of many scandals and scams. RTI has undoubtedly been one of the biggest step forward to bring in transparency in the Government. And now, RTI may get even stronger and get an unprecedented reach. Till date, only the citizen who files for RTI query used to get the information about the same. However, going forward it will be available for the world to see. 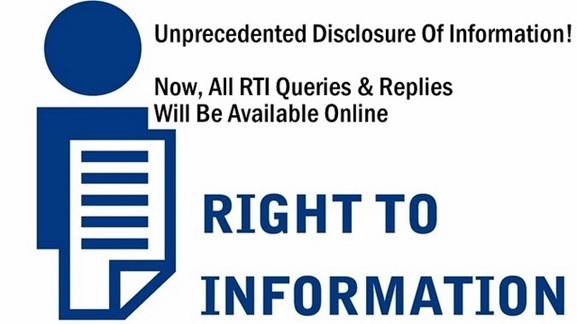 Narendra Modi Government has announced that starting next month all replies given under RTI by various ministries will be posted online and will be accessible by anyone and everyone. With all RTI replies going public, it will lead to unprecedented disclosure of information to general public. According a ET report, the Department of Personal and Training has issued an official memo to all ministries and departments to take “immediate action” to ensure that “the facility to upload the reply to RTI application and first appeal on the website of the respective ministry or department” may be started from October 31. While the previous UPA government launched the RTI, the current government has given it wings and unprecedented reach. Even though the RTI replies were available earlier, they were at the discretion of person raising the queries to make it public. Majority of them were never accessible to public at large. But, with this step, every RTI query will be available to public to see and analyze and even take action on. Another aspect is that once any person files an RTI application [Check full process of how to file an RTI application online in 10 minutes], they needed to get back to the respective ministry frequently to find out whether the reply has been given. This obviously added to the efforts required by ministry to reply them back. Additionally, many RTI’s were also quite repetitive and ministry had to provide information to each of them separately. With this new system in place, RTI applicants will just need to go to ministry website to see if their RTI reply is available. Also, for anyone filing an RTI, they can now already check whether the information is already available or not and if it is, they do not need to go through the entire process again. For transparency advocates and activists, this sure is a dream come true! R.I.P Nokia. All Nokia Phones To Be Rebranded To Microsoft Lumia! Sir i want to ask that..
if any of the authority failes to reply the necessary information under RTI within the stipulated Time frame then what is the punishment if any to the authoritiy.